Sonic The Hedgehog is one of the most highly recognisable video game characters ever created. Developed and owned by Sega, the little blue hedgehog made his first appearance in 1991 in a platform video game named after him. Following Sega’s decision to concentrate purely on developing software, Sonic even appeared in games developed specifically for their arch rival's Nintendo consoles. These were in direct competition with their own Mario the Plumber character. With Sonic as popular in the 21st century as he was when he first appeared, a huge licensing industry has been built around the popular little personality. From kid’s bedroom soft furnishings and ornaments to plastic figures and plush toys, Sonic and his compatriots like Tails, Knuckles and Doctor Robotnik all feature in an eclectic collection of toys, games and puzzles. Popular construction toy company Meccano has designed and manufactured some exciting Sonic toys that also feature Knuckles. The hero product, Chemical Plant Playset, is made from over 160 parts, and once assembled can be used as a thrilling race track. 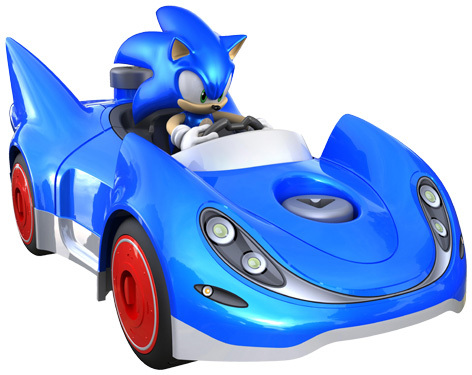 Birthday cards, party invitations, dressing up outfits, backpacks and even watches also get the Sonic treatment in addition to the regular releases of new video games.